A few weeks ago, I received a parcel. It was the parcel I have been waiting for. It contained The Song Rising. As a Bone Season Advocate, I am extremely lucky and receive early copies of every book in the series. This book is one of the most hyped up books of 2017 (naturally) and I was so excited to read it. Let me tell you, as always the hype was well and truly warranted. 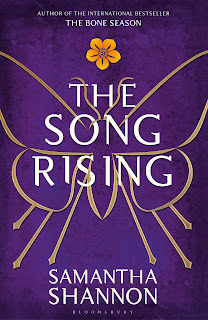 I already know The Song Rising is my favourite book of 2017, just as I knew every other piece of writing of Samantha's would instantly become a favourite. WARNING: If you haven't read The Bone Season and The Mime Order, this post may contain spoilers! 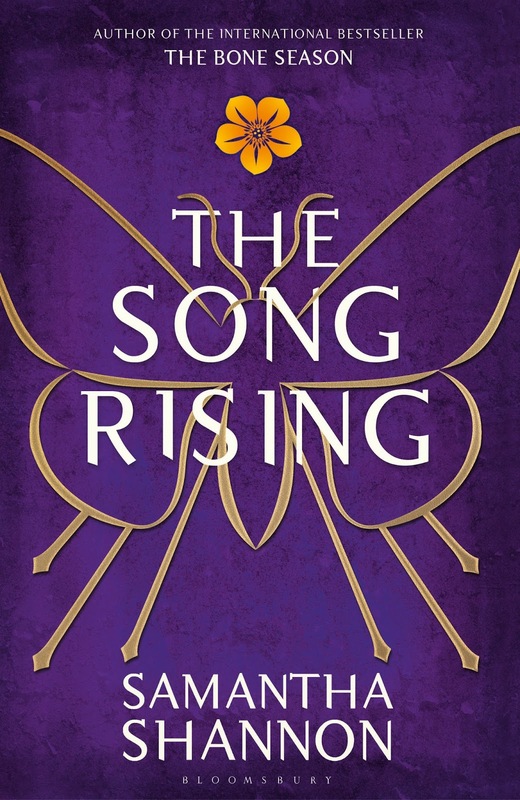 The Song Rising is written from Paige's point of view. If you've read the previous two books (and novella), you will know The Pale Dreamer in rather a lot of detail. She is one of my favourite female protagonists, simply because although we are in a futuristic world, where clairvoyancy is at large, Paige still manages to remain a relatable young adult. Her character traits, her dialogue, her demeanour, everything about Paige is typical of a YA...apart from her ability to dreamwalk, of course. Scion has become far more dangerous (didn't think that was possible, did you?) and as Paige is the new Underqueen, everyone is looking to her for answers. As Paige is now Underqueen, we are introduced to new characters and not only new parts of London (and its seemingly never-ending Victorian-esque market) but we are also introduced to some European countries and get a real insight into the rest of the UK and how it compares to the cruelty of London. Paige's main mission in this book is to destroy Senshield (Senshield: a new form of technology that could wipe out voyants in a very short period of time) and she finds herself trawling around Britain to find where the heart of it resides, so she can destroy it. She doesn't know where it is and she doesn't know how to destroy it; so poor Paige has it rough in this book...nothing she's not used to though. Paige's journey is certainly not an easy one in this book but she matures so much as a character and I think Samantha has done such a fantastic job of not only showing us how Paige's knowledge of clairvoyancy and new role of Underqueen has made her more mature but also, of her transition into an adult. I also have to say: THE PAIGE AND WARDEN SCENES. ARE. MINDBLOWING. I don't know how Samantha manages to create so much chemistry without being crude or implying too much but my god, it works and I adore them as a couple. I could honestly read Paige/Warden scenes all day because they are just magical. I love how each book in the series uncovers another layer for the reader in the world that Samantha's created. She gives us just enough to keep us satisfied, but leaves just enough to keep us wanting more. As you know, I'm a major fan of this series and it goes without saying, that I'm already desperate for the next book and am so excited to see what book four has to bring. I've said this enough times...but my god, I bloody love this series! Have you started The Bone Season series yet? What do you think?